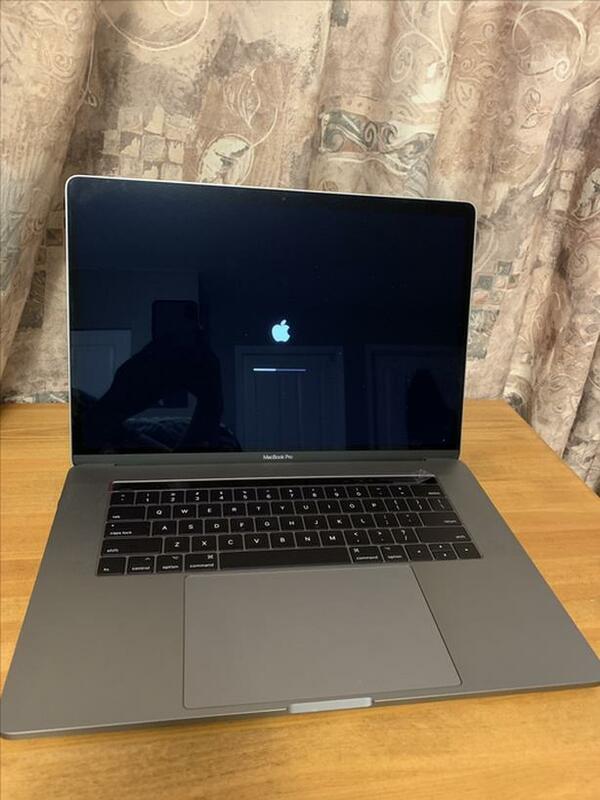 Excellent condition Macbook Pro 15 Inch with Touch Bar. This model comes with an i7 6700HQ. Comes with the upgraded Radeon Pro 460 graphics card with 4GB GDDR5 memory. System has 16GB of RAM and a 256GB NVMe SSD - one of the fastest in the industry. Slight cosmetic damage on the top panel which can be covered easily with a case or skin from DBrand. Battery recently replaced meaning charge cycle count is 1. As the battery is attached to the top case of the macbook, the keyboard and touch bar are all BRAND NEW. Comes with MacOS Mojave freshly installed. This is a beast of a machine when it comes to Final Cut Pro and media editing. Original box included as well as original power brick and USB-C charging cable. A thunderbolt 3/USB-C to thunderbolt 2 port is also included as a bonus (worth $40).